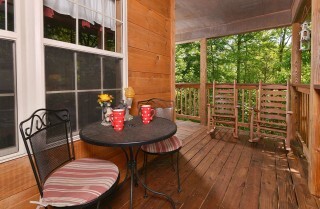 Back at the cabin, Honey Bear Heaven offers a quiet atmosphere surrounded by the Smoky Mountain woods. 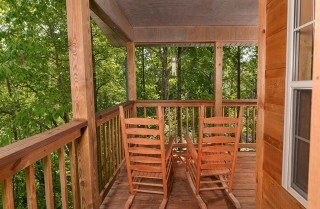 On the covered porch, you’ll enjoy rocking chairs, a 2-piece patio set, and an outdoor hot tub. Inside, take advantage of a private bedroom with its own TV and a queen-size bed, a big screen TV with a DVD player in the living room, and an indoor jetted tub in the bathroom. Make this your go-to cabin for anniversary trips or your family’s first choice for a homey getaway. Honey Bear Heaven comfortably sleeps 4 and is a great choice in any season, but especially when the leaves are changing in the fall. 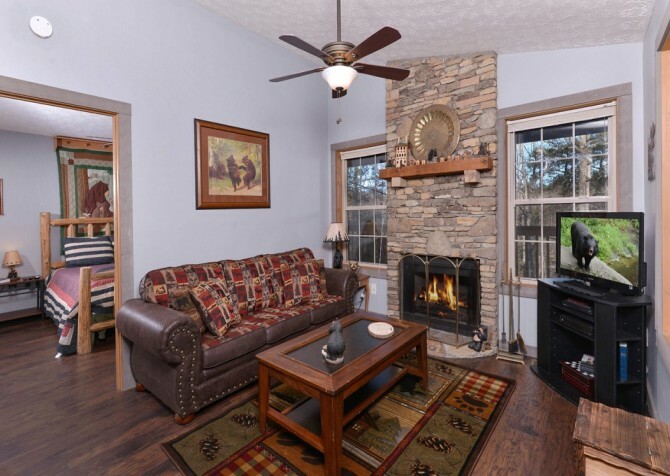 The cozy living room inside Honey Bear Heaven is sure to be your favorite place to relax after hiking in the Great Smoky Mountains National Park or shopping in The Village on the Parkway. 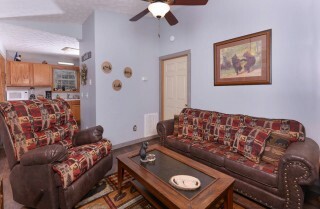 Stretch out on the full-size couch upholstered in Smoky Mountain style, or kick back on the comfortable sitting chair in the corner. 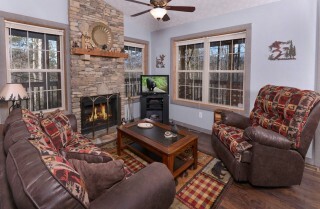 The big screen TV with a DVD and VHS player makes it easy to watch your favorite movies (bring them along or find a Redbox nearby), and you can set the mood with your stone-set electric (no heat) fireplace. If you’re hoping for some quality time with the one you love or your family, bring a favorite board game or a deck of cards and spread it out on the coffee table. You’ll love the memories you make together while relaxing on the comfortable, carpeted floor, surrounded by the natural light of the Smoky Mountains. 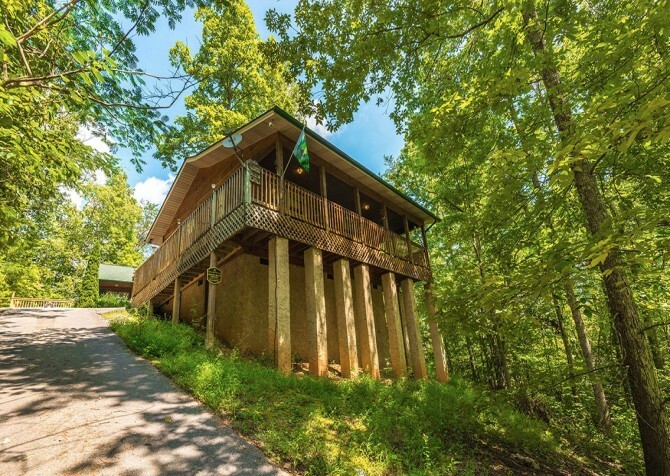 For many, a trip to Gatlinburg isn’t complete without a visit to a favorite Smoky Mountain stop like Fannie Farkle’s or the Log Cabin Pancake House. 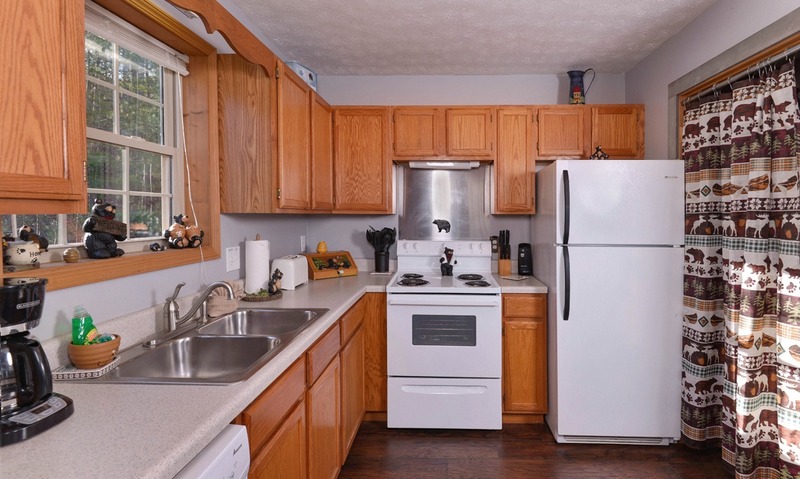 But don’t forget that one of the advantages to staying in a Gatlinburg cabin like Honey Bear Heaven is full access to its fully equipped kitchen! Inside this 4-person cabin, you’ll find an open-concept kitchen that’s large enough for your small group. 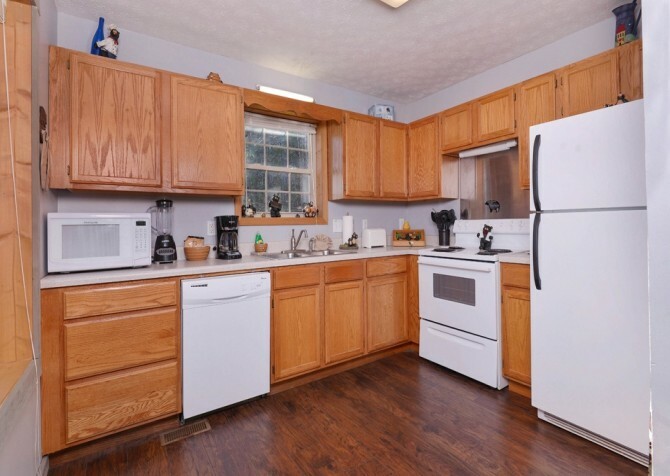 All of your major appliances (including a full-size refrigerator, electric stove/oven, and dishwasher) are offered in white, and several countertop appliances (including a blender, coffeemaker, electric can opener, and toaster) are provided as well. 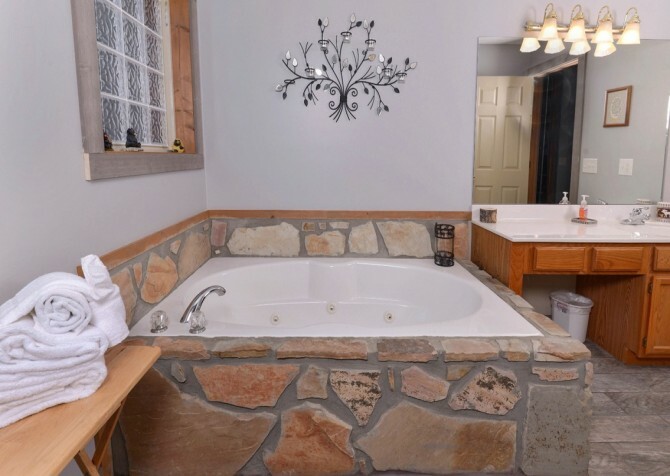 Plan for a homemade pancake breakfast, easy deli sandwiches for lunch, and even a romantic meal for 2 during your stay at Honey Bear Heaven. 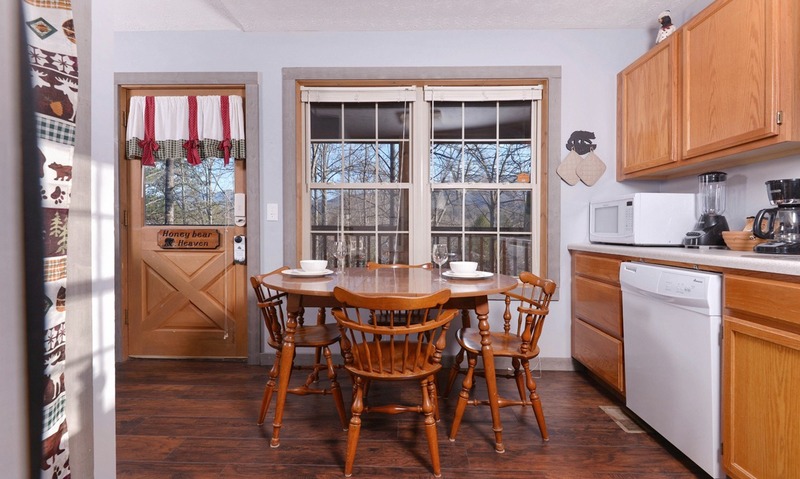 Tucked inside the kitchen is another special amenity of our Gatlinburg cabins—your perfectly sized dining room table! 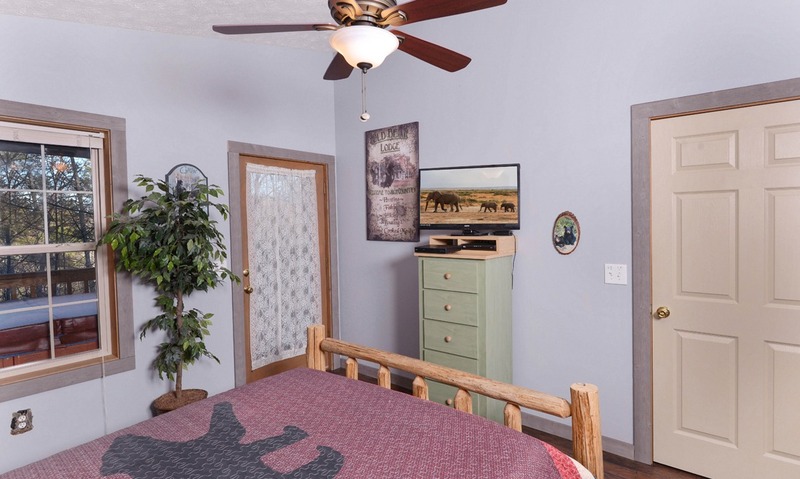 Most hotel rooms won’t offer this homey accessory, and you’ll need it if you plan to spend time as a family or as a couple, enjoying meals together in the cabin. In fact, what better way to share quality time together than by enjoying a meal around the table? After you eat, turn your 4-piece dining set into a game table or a craft space. There are tons of ways to spend your time inside Honey Bear Heaven—the most important thing is to spend it together! 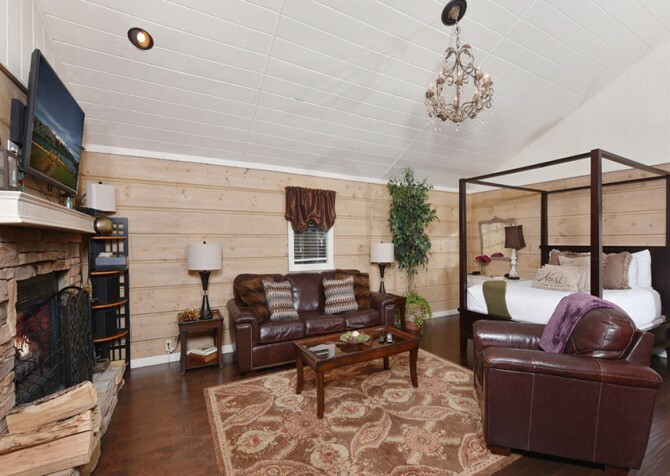 Honey Bear Heaven features 1 main bedroom, and with carpeted floors and a queen-size bed, you’ll feel right at home in this warm, comforting space. Enjoy Smoky Mountain décor with the log-style bedframe, American black bear décor, and outdoors-inspired comforter. 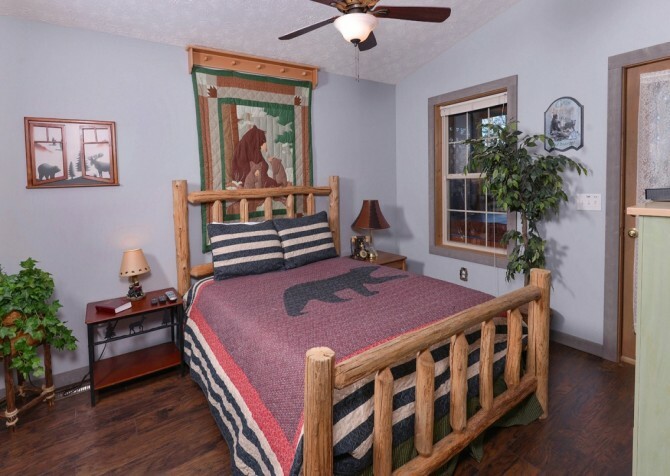 Other amenities offered in Honey Bear Heaven’s bedroom include its own TV, a plush sitting chair, a ceiling fan, two nightstands, and two reading lamps. 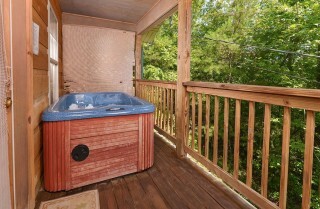 You’ll also have a window overlooking the Smoky Mountain trees and private deck access to your outdoor hot tub. 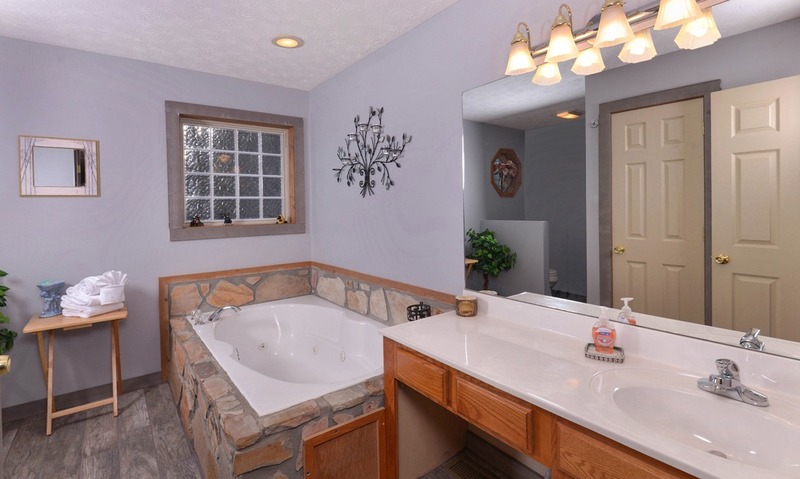 If you’re hoping for a private indoor soak instead, try your indoor jetted tub in this cabin’s bathroom! 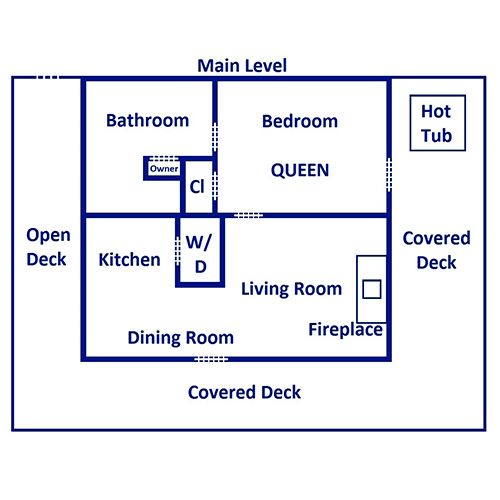 With its single bathroom, bedroom, and additional queen sleeper, you should find comfortable accommodations for up to 4 guests inside Honey Bear Heaven. 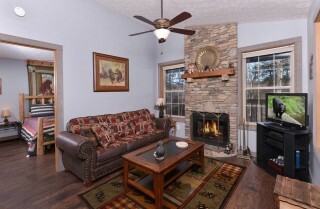 Looking for some peace and quiet from your Gatlinburg retreat? Honey Bear Heaven offers just that and more with its rocking chair porch that overlooks the Smoky Mountain trees. Grab a cup of fresh-brewed coffee and relax on the front porch with only the sounds of the Smokies to distract you. 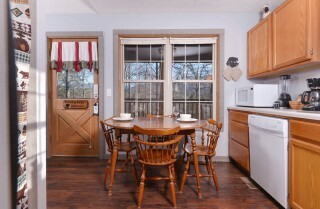 Or take your romantic steak dinner to the covered porch, using the wrought iron patio set for 2. 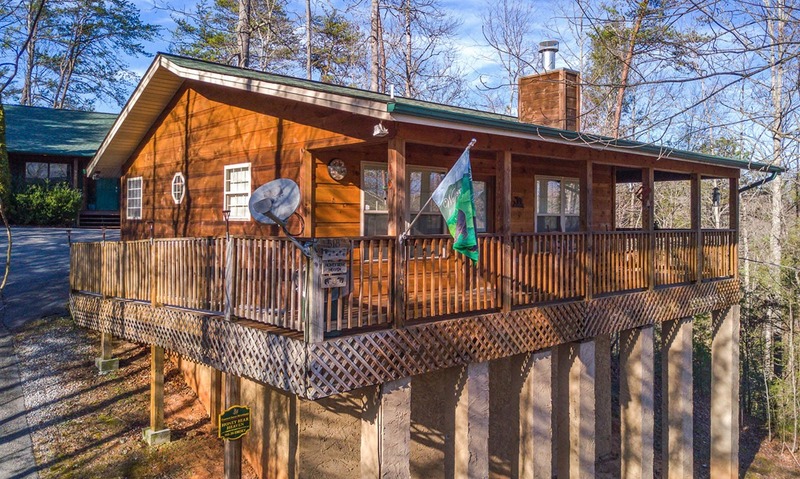 In the wintertime, you’ll enjoy distant mountain views from Honey Bear Heaven after the trees have long lost their leaves. 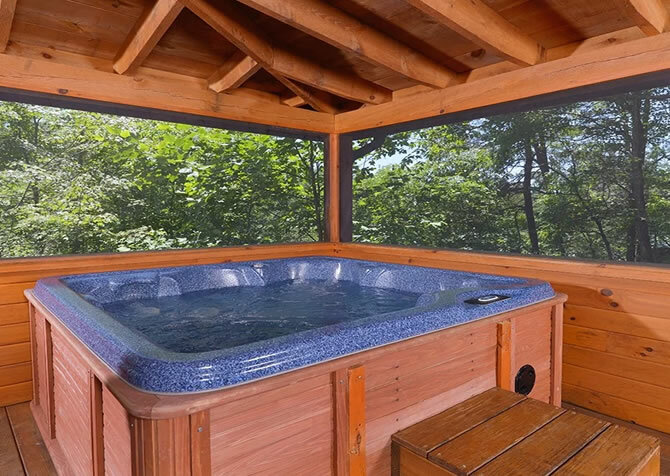 Soak in these unforgettable sights with a cup of hot cocoa in your hand or while you take relaxing soak in Honey Bear Heaven’s outdoor hot tub with a privacy screen! You’ll also find a charcoal grill on the porch, which is perfect for a Memorial Day barbecue or grilling a couple steaks for a romantic night in. Finally, we want you to know that while Honey Bear Heaven has a steep driveway, it is paved for your convenience. 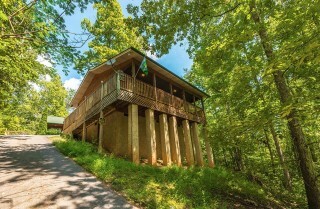 Honey Bear Heaven is truly a heavenly retreat in the Smoky Mountain trees. 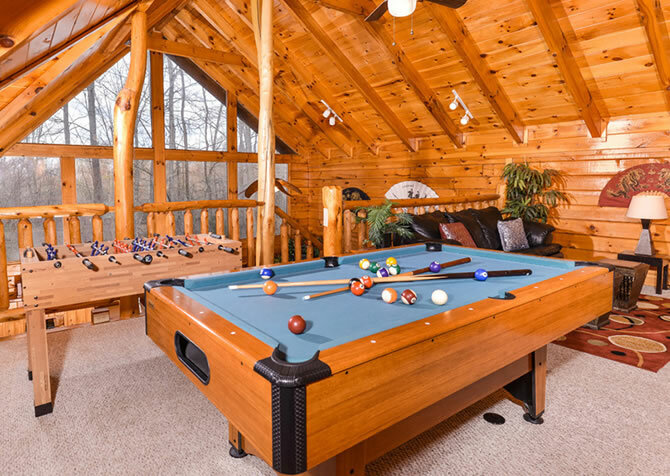 It offers a quiet, peaceful atmosphere where you can escape the worries of work, school, and other responsibilities that are weighing you down. 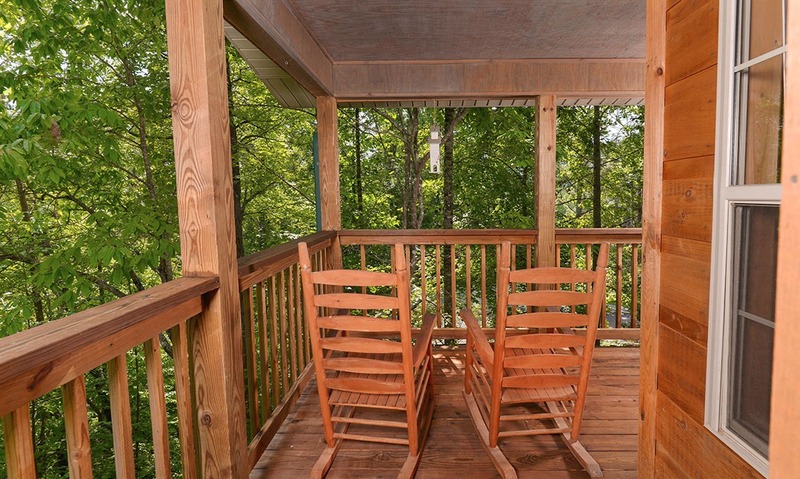 While the privacy of the woods may be what you’re coming for, be sure not to miss the excitement of nearby attractions and events in Gatlinburg while you’re in town. Hone Bear Heaven sits in the arts and crafts district, so you’ll have plenty to explore just minutes away. This unique car-lovers museum features all the famous cars from Hollywood’s history. Right now, check out the cars of Furious 7 as well as the General Lee from The Dukes of Hazzard and the Beverly Hillbillies Jalopy! 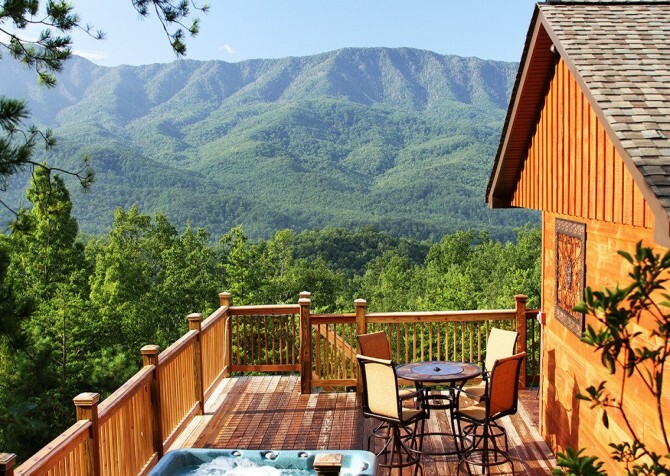 Hiking isn’t the only way to experience the beauty of the Great Smoky Mountains National Park. At Sugarlands Riding Stables, take an outdoor tour with an experience guide on the back of a well-trained horse. Tour an ancient jungle temple in the heart of the Smokies at Treasure Quest Golf. This 18-hole indoor mini golf course is a great option for rainy day or cold-weather fun, and it now features 5 holes in amazing black light! 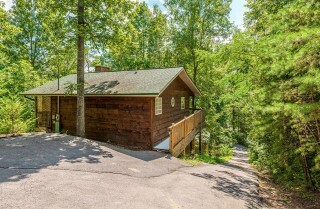 "The cabin was amazing! Quaint, isolated, amazing view of the mountains. It was well clean and organized. There was a complementary bag as with the last stay with necessitates for the weekend stay. 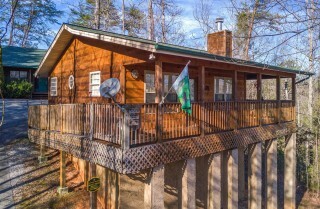 Had 1 issue with the shower but messaged and they were quick…"
"The cabin was amazing! Quaint, isolated, amazing view of the mountains. It was well clean and organized. There was a complementary bag as with the last stay with necessitates for the weekend stay. Had 1 issue with the shower but messaged and they were quick to resolve the issue. I had no complaints." Thank you so much for the raving review! We are so elated to hear that you enjoyed all the aspects of your trip, even with a small hiccup that was resolved quickly! We can not wait to see you again soon!